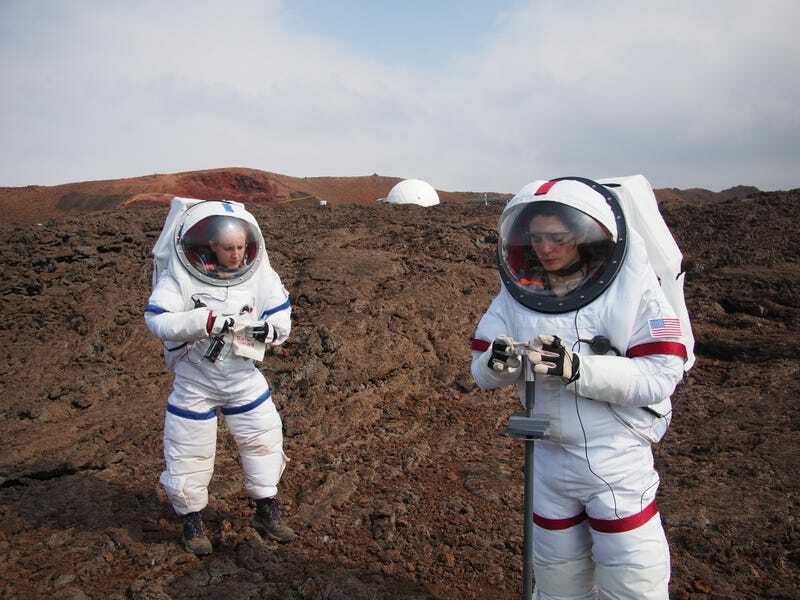 A mission to Mars should have an all-female crew, says Kate Green, who participated in a simulated expedition. Over 5 weeks, the female crew members expended less than half the calories of the men and at mealtimes, the women ate smaller portions. Less food would mean a lighter spacecraft payload and reduced fuel.